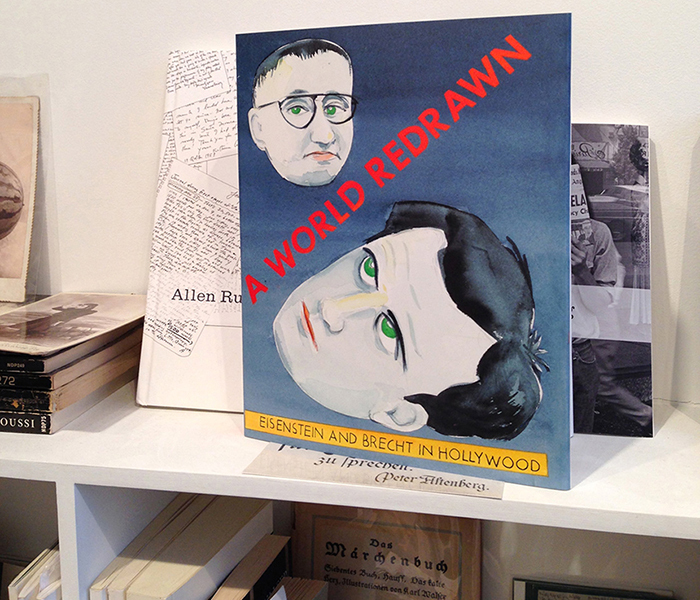 The book edited by Zoe Beloff, includes documentation of the films “Two Marxists in Hollywood”, “Glass House” and “A Model Family in a Model Home”. It also contains previously unpublished drawings by Eisenstein from the Russian State Archive of Literature and Art in Moscow and two scholarly essays commissioned for the project. Esther Leslie contemplates the radical potential of laughter, drawing on the work of Walter Benjamin and Theodor Adorno and Hannah Frank discusses surprising affinities between Soviet and American animation.